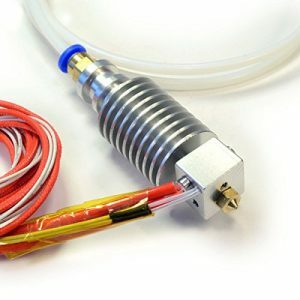 With PTFE in hot regions of our HotEnd we can reach 260C with the supplied thermistor. 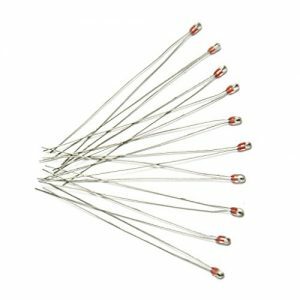 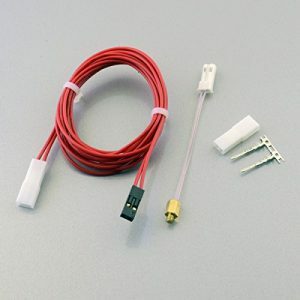 By swapping a thermistor for a thermocouple (may require additional electronics) you can reach over 280C. 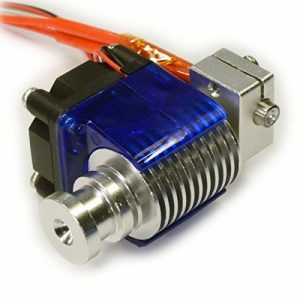 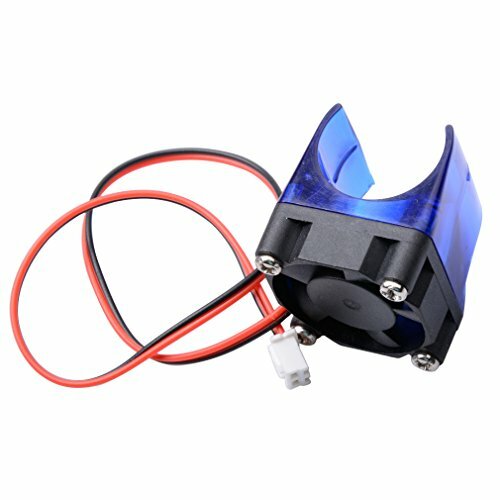 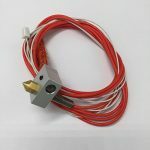 This not only allows you to print extremely high temperature materials like PP/ Polycarbonate and Nylons but also eliminates HotEnd meltdown failures associated . 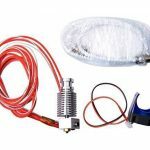 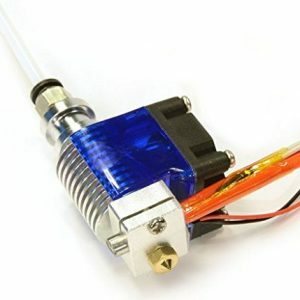 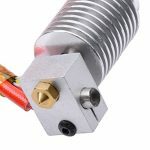 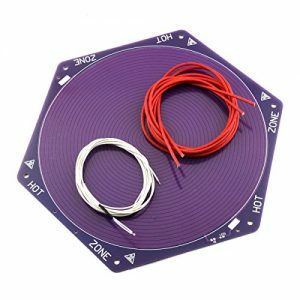 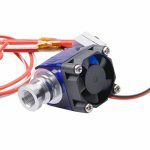 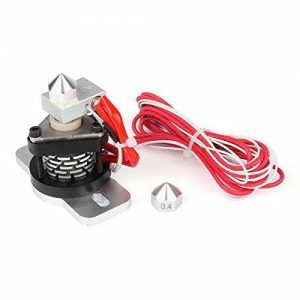 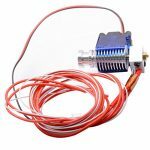 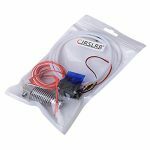 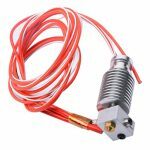 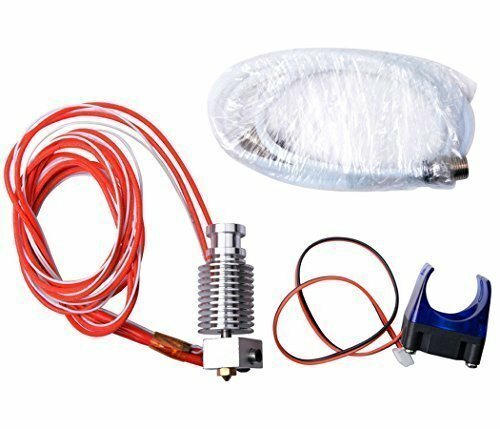 latest v6 hotend has a PTFE liner inside the hotend this liner is never subjected to high temperatures so there is no risk of damaging the liner through overheating. 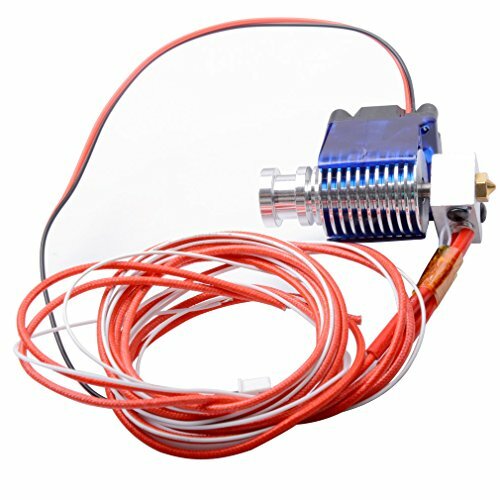 We’ve focused on cutting as much bulk from the V6 as possible. 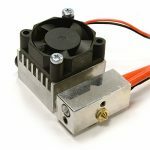 This means an overall length of just 72mm and significant reductions in bulk in the X/Y dimensions by using our new injection moulded fan duct. Based on EPCOS 100K Thermistor B57560G1104F. 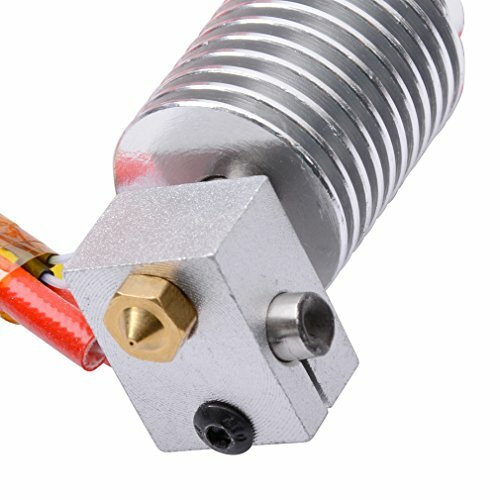 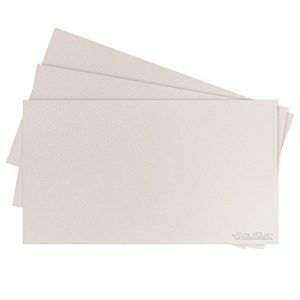 Working temperature limit of 280C due to high temp. 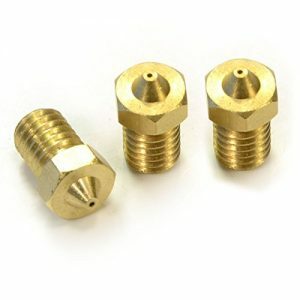 industrial epoxy resin used.